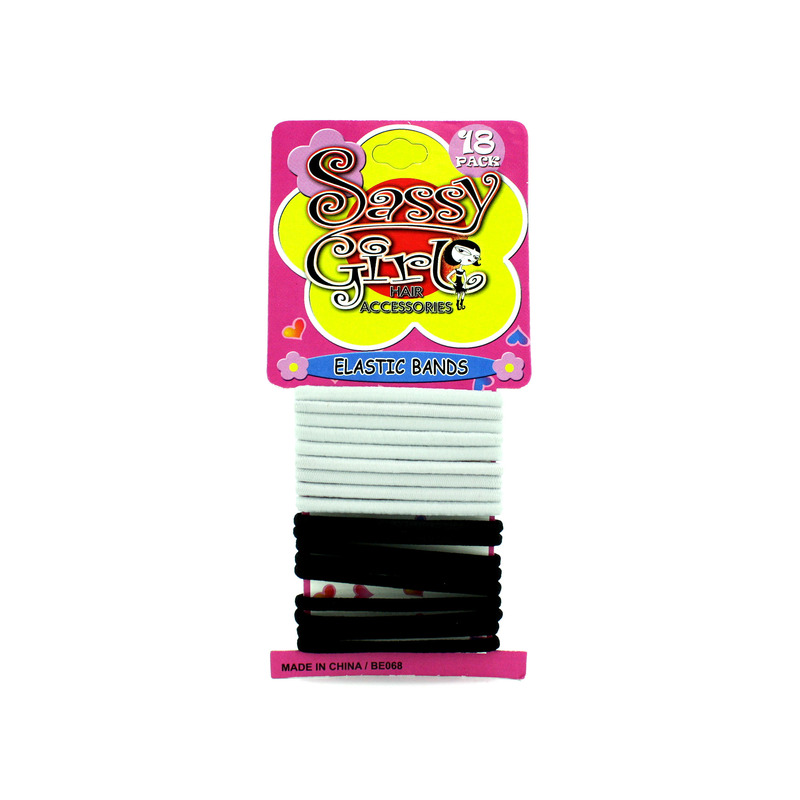 Ideal for workouts, casual styles and pony tails, this Black & White Hair Bands Set features stretchy bands in black and white, making them the perfect accessory for any outfit. Each pack comes with 18 bands total - 9 black and 9 white. Comes packaged in a poly bag with a hanging panel.